The University of North Carolina at Greensboro today announced the appointment of a new communications leader to help the rapidly growing university continue to build its reputation, brand and visibility as a leading state and regional institution. Jeff Shafer, formerly vice president of global communications at Lenovo, will join Chancellor Franklin D. Gilliam, Jr.’s leadership team as associate vice chancellor and chief communications officer for the university. His appointment will be effective Nov. 28, 2016. Shafer has led Lenovo’s global communications organization for the last six years. While there, he has helped shepherd the company through rapid expansion (including its rise to No. 1 in the global PC industry and its climb to No. 202 on the Fortune Global 500 list), global acquisitions and its emergence as one of the top technology companies and best global brands in the world (including recognition in the Interbrand Top 100 Brands for the past two years). He has led internal, external and social media communications teams, as well as financial communications, events and sponsorships and corporate social responsibility initiatives. Shafer joined the company as head of internal and executive communications in 2007. He is also currently active in North Carolina’s higher education community. Shafer serves as the Wells Fargo Endowed Chair in Communication at North Carolina Central University, teaching two classes in public relations during the fall semester. Additionally, he serves on the UNC Chapel Hill School of Media and Journalism Board of Advisers. 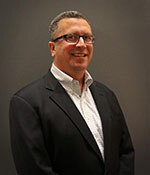 Shafer brings approximately 23 years of communications experience to the university team. Prior to joining Lenovo, he worked as senior vice president at Fleishman-Hillard, one of the world’s largest public relations agencies, in Kansas City, Missouri. He has also held a variety of communications leadership positions at companies such as Sprint, Ericsson and CompuServe. In addition to his global communications experience, Shafer brings a regional perspective to the role. He moved to the Raleigh area in 1987. He graduated from UNC Chapel Hill with a bachelor’s degree in journalism and later received a master’s degree from the University of Kansas in integrated marketing communications.